Our secure payment facility is more than just a payment gateway - you can view all your invoices and payments, along with set up payment plans and schedule future payments. 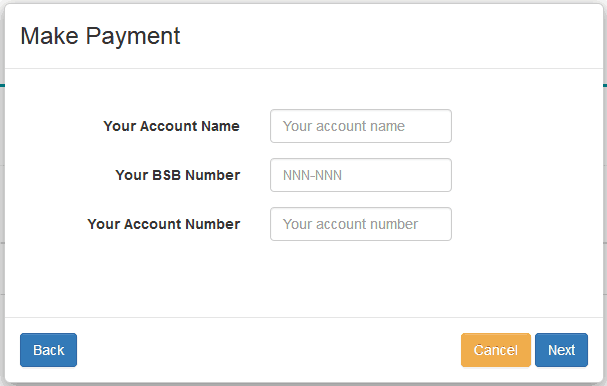 Below are the instructions on how to access our payment facility by clicking on a "Pay Now" button or by navigating to www.mcaaccountants.com.au/paymybill, and how to pay your invoice. If you have accessed our payment portal by clicking on a link from within an emailed reminder or statement, then you will need a slightly different set of instructions available here. To "login" to your payment portal, you need to enter the details of an invoice. The invoice number and total invoice amount (not the outstanding amount) are what you need. There is no username and password, just this. 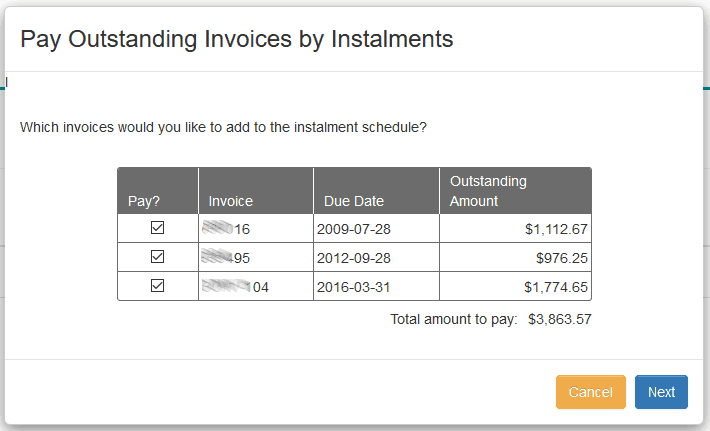 If you have multiple invoices outstanding, you can choose to pay individual ones (with the "Pay" button next to the individual invoices), or multiple invoices (with the "Pay Some / All" button). We offer a standard installment plan of 5 fortnightly payments (one now, and then every 2 weeks) which can be accessed via the green "Accept installments offer" button. If we have offered you any custom installment plans, these will be available here also. The next screen will give you the option to choose which invoices to pay, and how much for each invoice. If you are paying by installments (e.g. 5 x fortnightly installments), then enter the total amount to be paid, not the amount per installment. If you chose to accept an installment offer at Step 2, you will be asked what terms you accept. We have a 2 month term, paying fortnightly standard offer that is available to everyone (which equates to 5 payments - 1 now, and then one each fortnight for 8 weeks). If you have contacted us to discuss payment terms, any other agreed terms will be visible here also. 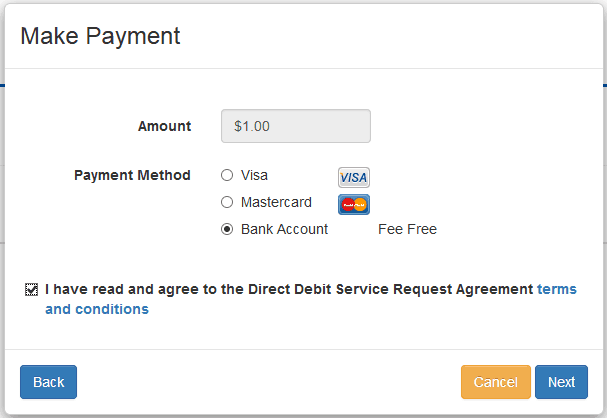 Now you can select the payment method. We accept Visa, Mastercard, and direct debits from bank accounts. Credit cards incur a surcharge which will be detailed on this screen, bank direct debits are free. Enter your credit card details or bank account details to finalise payment. After payment is confirmed, you will be given the option to save your payment details for future use. Your details are stored securely and encrypted to ensure no-one else can view those. 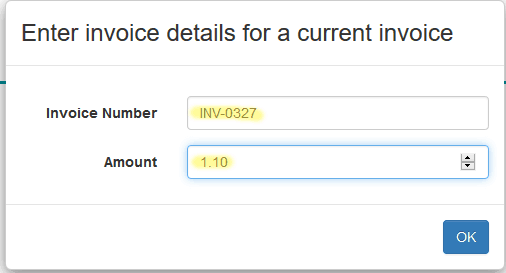 The next time you use our payment facility to pay an invoice, your payment details will show up as an option. Below are two instructional videos from the supplier of our online payments portal (Apxium) that may also assist.